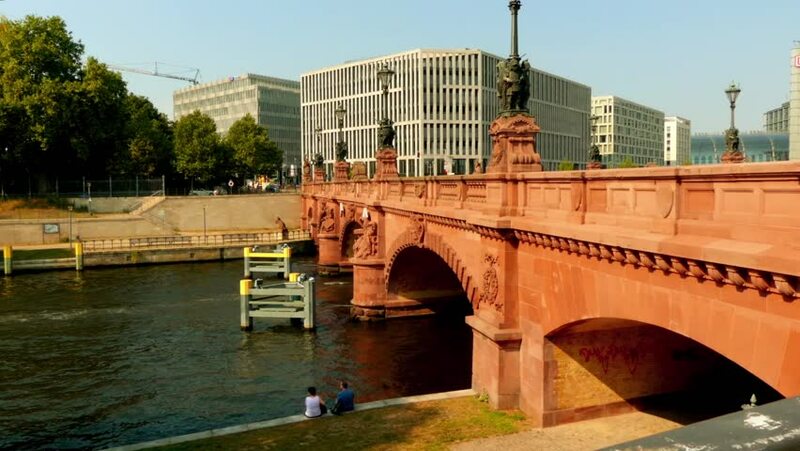 Moltke Bridge over Spree River in Berlin, Germany. Completed in 1891, it connects Alt-Moabit near main railway station on north bank to Willy-Brandt-StraÃ?e and Chancellery on the south bank. 4k00:24COLOGNE, GERMANY: The three "Crane Houses", constructed from 2006-2008 are one of the most famous landmarks of modern architecture along the Rhine.ULTRA HD 4K, real time, zooming. hd00:05Timelapse clip of uptown in Washington DC, USA. Morning. Cloudy. 4k00:11Warsaw, Poland - 05 20 2018: All footage were captured on a drone at midday.